Brig. Gen. Judy Griego, the first woman to ever be promoted to that rank in the New Mexico National Guard, had a decorated military career, establishing herself as both pioneer and leader. Her most recent role, before her retirement in 2016 after a a 36-year career, was as chief of staff of the New Mexico Air National Guard, where she directed, managed and supervised the development, execution and evaluation of programs and policies pertaining to the command, control and operations at the State Headquarters level; she was also responsible for several key personnel programs, including the state’s Sexual Assault Response Prevention Program, Counter Drug Support Program and Veterans Transition Assistance. Among her various key leadership roles, Griego also served as chief of the joint staff at New Mexico Joint Force Headquarters. A native New Mexican, Griego first enlisted in the Air National Guard in 1979 and served her first twelve years in the enlisted ranks, attaining the rank of Master Sergeant. She commanded in numerous positions and deployed to Iraq in 2007. 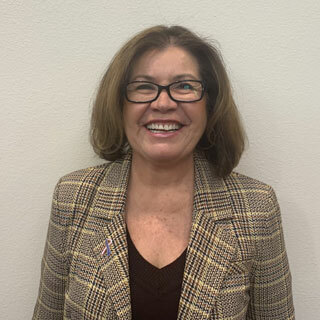 As a volunteer for Junior Achievement of New Mexico, she has helped foster business, entrepreneurship and financial education for young adults; she is also president of the governing board of La Promesa Early Learning Center. Griego received an undergraduate degree in professional aeronautics from Embry Riddle Aeronautical University and a master in aeronautical sciences from the same school.